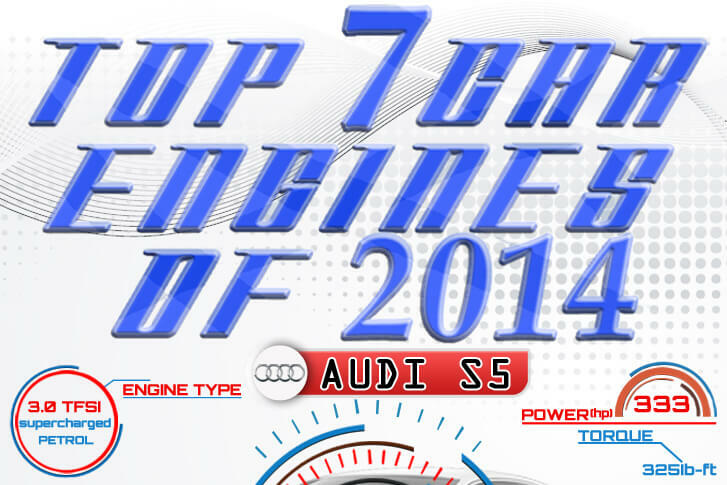 Top 7 Car Engines for 2014, Is Your Car One of These? It’s that time of the year again in which we look back at the past year and decide on which things were the best. It’s that time when people will draw top 10 lists as well as worst 10 lists. Likewise, for a motor enthusiast nothing more is important that knowing which engine was the best for 2014. There were amazing new engines and amazing new cars, but we drawn down our top 7 for 2014. We must say it was a fascinating year for cars and engines. Audi makes the top of the list with a lively 333bhp 3.0 litre supercharged V6 in the sporty S5 midsize coupe. It is also offered in other Audi models such as S4 saloon and Q7 crossover SUV. It has a supreme refinement, luscious torque and brute strength. BMW is second on the list with the ultra frugal 3.0 litre twin turbo fitted in the 535D. The list also includes the amazing Corvette Stingray as its 6.2 litre V8 engine has the latest engine advancements like direct injection and active deactivation to maximise its power at 450 bhp. To check out the full list check out the infographic.